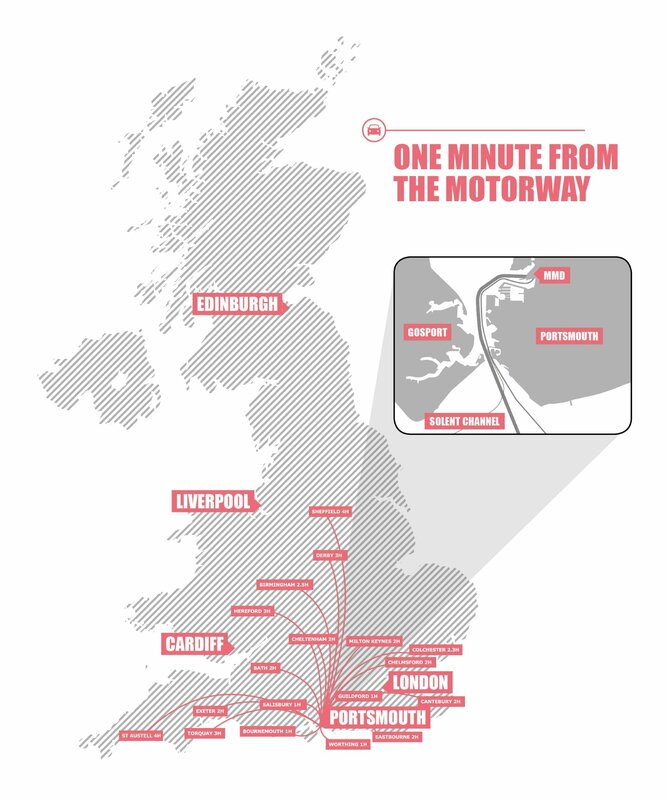 We’re the UK’s best connected port. Close to main shipping channels and one minute from the motorway, your goods arrive and leave in record time. Our excellent marine links means that Portsmouth is the port of choice for importing and exporting to the continent and beyond. We also have the ability to use a container rail terminal, contact our commercial team for more information. Located near the port is a major 45-acre industrial/distribution business park, offering bespoke facilities on a built-to-suit basis from 20,000 sq ft to 200,000 sq ft. The park is accessible for a large skilled workforce and offers swift freight movements onto the national road network.